The Zebra ET55 rugged business tablet combines the best of consumer-styling, with all the enterprise-class features. The ET55 rugged business tablet from Zebra allows customisation for just about any job and any environment. From warehouse workers inside the four walls of your distribution centre, to delivery drivers and service technicians out in the field, the ET55 offers enterprise durability, constant battery power, your choice of operating system, and a range of connectivity options. Data-capture is also a key feature with the Zebra ET55, with two integrated cameras for image capture, barcode scanning and video calls; optional advanced scan engines and innovative Bluetooth scanners for intensive barcode capture; and three methods of data entry that work even if the screen is wet; active stylus or a finger, with or without a glove. For more information on rugged business tablets, or for a product demonstration of the Zebra ET55, please contact Dematic Real Time Logistics today. Supports both AndroidTM 5.1 (Lollipop) or Windows 10, allowing you to choose the operating system that is right for your technology strategy. Engineered from the inside out to handle all day everyday business use, with Corning® Gorilla® Glass 3 with Native Damage ResistanceTM, IP65 dust-resistant sealing, and drop rated up to 1 metre – almost double with the optional rugged frame. Optional advanced imaging engines can be added at any time to allow workers to capture any 1D or 2D bar code, farther and faster. Wi-Fi and 4G LTE Support. 802.11 a/b/g/n (Windows) and 802.11 a/b/g/n/ac/d/h/i (Android) support ensures compatibility with your existing WLAN, while 4G LTE support gives workers anywhere in the world a robust wireless connection on the world’s fastest cellular data networks. 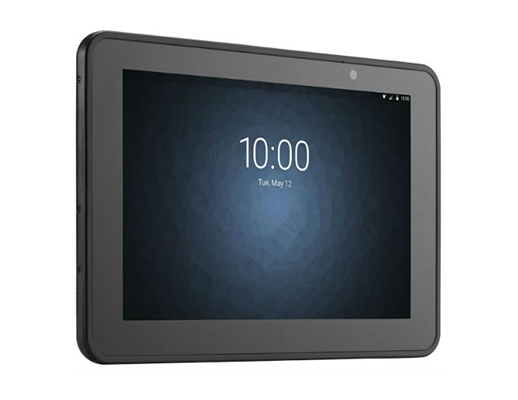 Two sizes are available with either 8.3 inch or 10.1 inch displays. Hot swappable batteries allow you to achieve 24/7/365 constant power. Connected Standby for a true always-on smartphone experience. 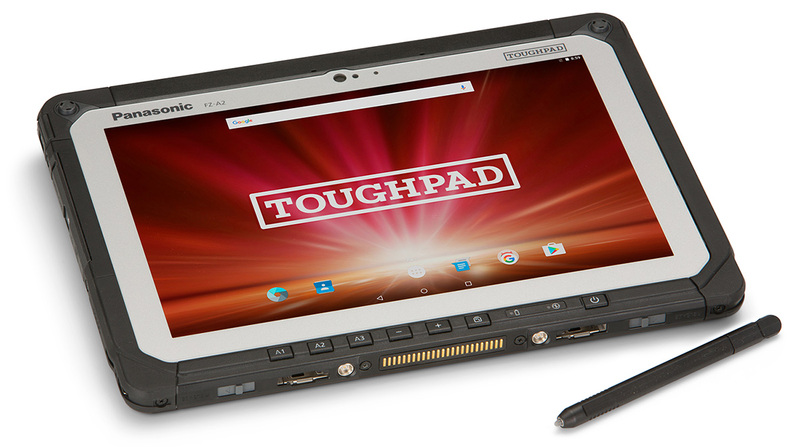 The Panasonic FZ-A2 Android™-powered Toughpad delivers true ruggedness and is ideal for highly mobile workers in challenging conditions. 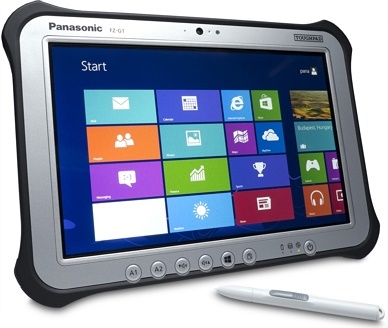 The Panasonic FZ-M1 Touchpad is a fully-rugged Windows® 10 tablet built to improve mobile productivity without compromising on processing power. 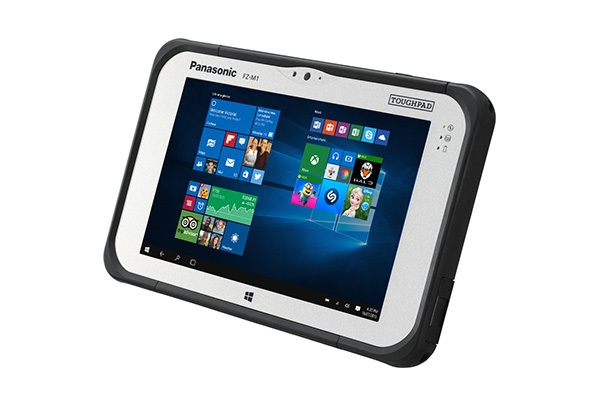 Designed for highly mobile field workers, the Panasonic Toughpad FZ-G1 is the thinnest and lightest fully-rugged 10.1″ tablet running Windows 8. 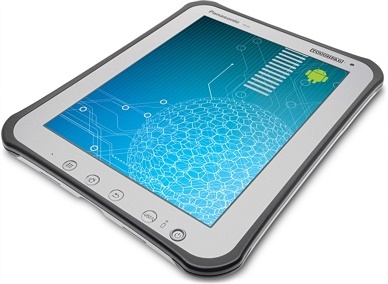 The first rugged tablet powered by Android, with a 10.1 inch daylight-readable display and ability to perform in almost any environment, the Panasonic Toughpad FZ-A1 is the ideal clipboard replacement. 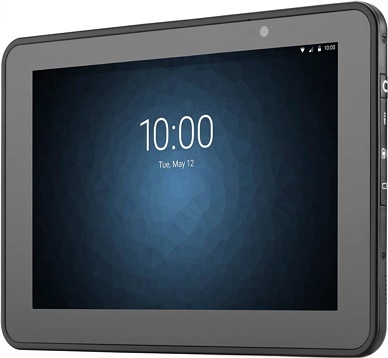 The Zebra ET50 and ET55 are business tablets that can be customised for just about any job – whether inside or outside the four walls of your facility. If you want to give us a call simply dial our Head Office number during normal office hours. © DEMATIC 2019 - All rights reserved.